New and returning ringers are invited to join the band to ring for Sunday services and weddings. If you would like to learn to ring, or return to bell ringing, then you are invited to contact Tower Captain Malwyn Williams who will be pleased to offer you a ringing course at the pre-arranged practices or at a time that may suit you. Now the work on our bells is complete, visitors to ring them are once again welcome. You will need to arrange a mutually convenient day and time and on an agreed donation. Quarter peels also on pre-arranged days and times and fees, on request. Peels are strictly limited. The Tower Captain may be contacted for more details by email, malwyn.williams@hotmail.co.uk or telephone on 01622 861 143. The bells of St Nicholas Otham have been ringing out across open fields and the river Len valley to the north, and to the village of Otham, south of the church for hundreds of years. 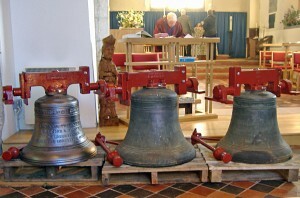 The original three bells have been very active in ringing terms over the years and have rung out for church services, weddings and other celebrations. In a truly multi-generational hobby, new ringers across the generations have become part of the life, fellowship and history of the parish of St Nicholas. Over the years, there have been opportunities to augment the bells to six (a more ‘useful’ number of bells) but for various reasons they never materialised. 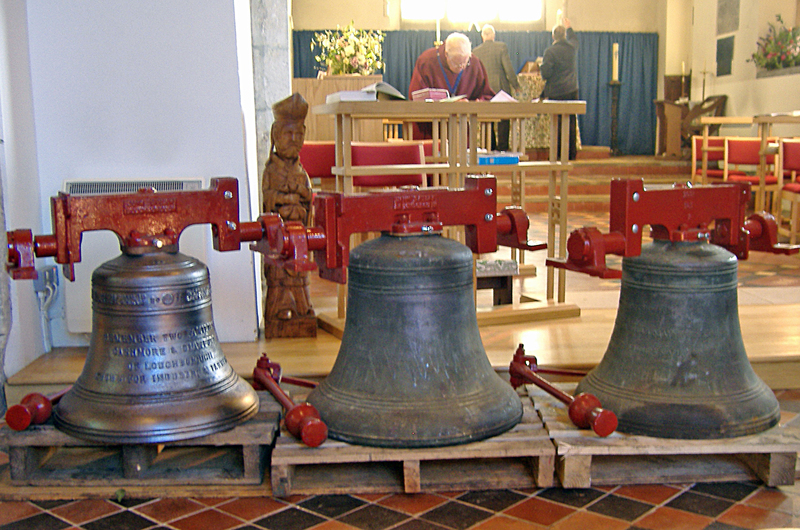 Then, in 2010 the Church Council gave permission for fund raising to begin to augment the bells. A leaflet giving details of costs etc , was produced asking for support, which was forthcoming. The Parish were invited to see the new bell being cast at the foundry on 30th June 2011, a gift from Mr and Mrs David Marchant. The bells were blessed with oil on Sunday 19th February 2012 by Reverend David Bond before being installed in the tower. A service of dedication of the bells was held on Sunday 2nd September 2012.